Official Chennai Rhinos logo 2017 announced by the team management and here is the newly launched Chennai Rhinos kits CCL 7, jerseys and uniform of Chennai Rhinos for CCL 7 edition. 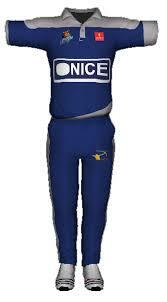 Chennai Rhinos team also announced their team’s kit and these kits are not so much different to their previous kit. 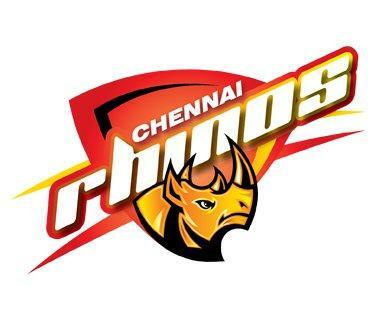 Chennai Rhinos will appear in their typical yellow color as most of the other professional teams keep in the kits. This team managed their kits in yellow and blue colors, but mostly the kit is colored in yellow color. The shirt of Chennai Rhinos contains CCL’s official logo on their upper front side. Front upper left side contains the team’s official logo. There are blue colored stripes on the shoulders while the entire arms or sleeves of the shirts are painted in blue color. The front centre of the shirt contains the logo of sponsors, while there are small, but thin strips of red color are place surrounded by collars. Trouser of the Chennai Rhinos is fully yellow in color while on the counter side there are blue colored stripes on side bars of the trouser.